You’re in sales and a prospect promised they would buy, then stunned you with this painful line, “Oh, meant to call you … we’ve decided to go a different direction.” Ouch. You work in the home office and your project was almost completed when the boss came along and told you to start over and redo it. Bummer. Your performance review went fine, but you didn’t get that pay increase you were counting on. Man, that stinks. Of course, one option is to quit. But we can’t do that every time something lousy happens, right? So what keeps us where we are, employed by our current organization even when things don’t go according to plan? For some the response is “my mortgage and car payment.” The better answer is … BELIEF. My dad, Jimmy Miller, was head wrestling coach at Cornell University from 1949-1974. In 1967 he was invited to lead the United States’ Pan American team. The “Pan Am” games are held one year before the Olympics and involve only North and South American countries. 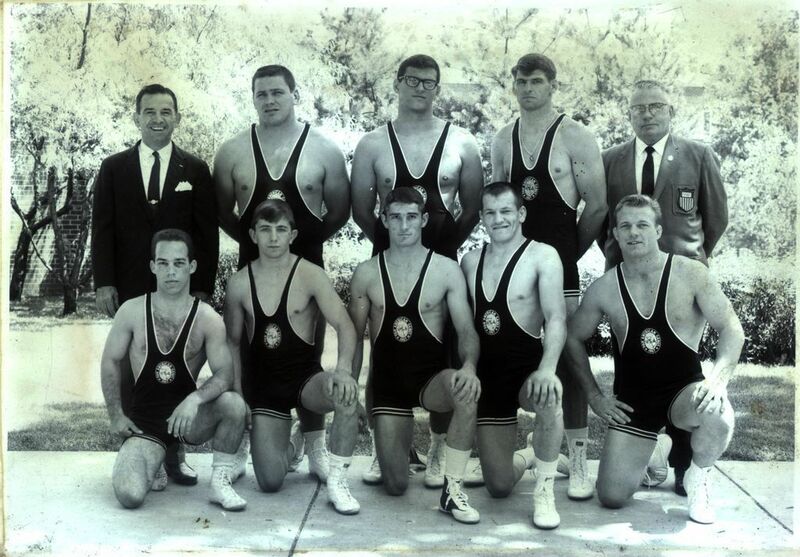 Coach Jimmy Miller (top left) and the 1967 United States’ Pan American Games wrestling team. Outstanding Parenting Works In Any Language! 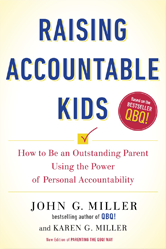 When Karen and I wrote Parenting the QBQ Way, little did we know who its message would touch, how wide-ranging its reach would be, and what difference it would make. A few months in, we’re excited! Reviews like this and this sure help! Parenting is such a critical endeavor for many reasons, not the least of which is moms and dads around the world are building the next generation who will run the world. So what could be more critical than the elimination of Blame, Victim Thinking, Complaining, and Procrastination from the lives of parents? 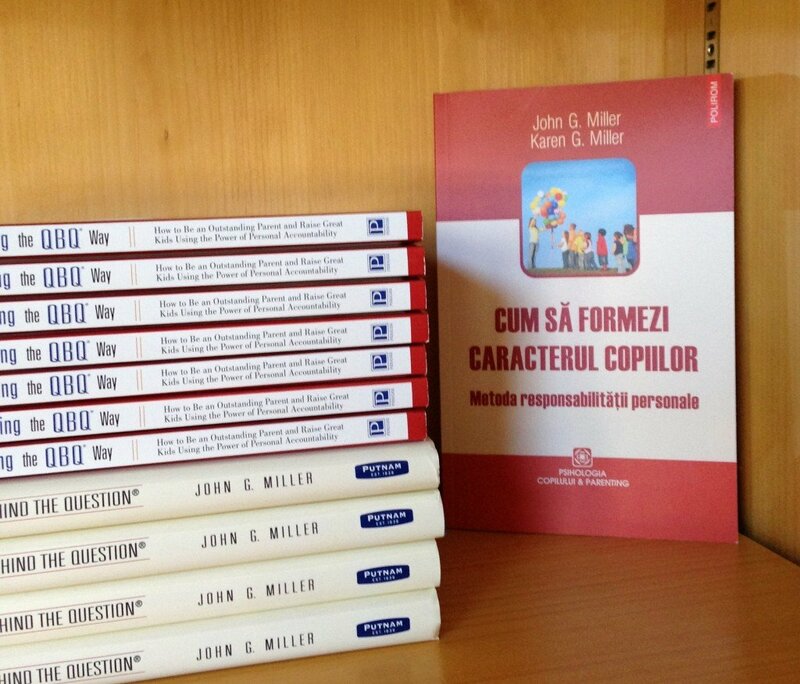 This is exactly what the new “PQW” book does for families—even when they’re on the other side of the world! It was 1974 and I was 16. Mesmerized, I stared at the church organ dangling fifteen feet above the sanctuary floor. 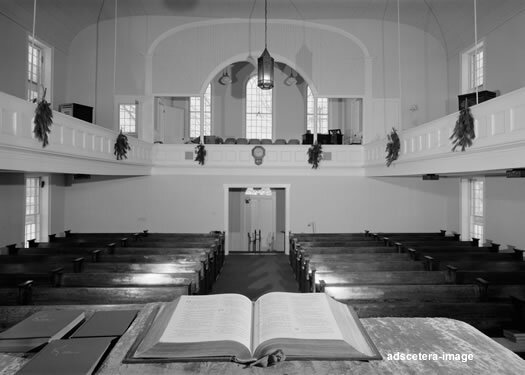 The church was the Danby Federated Church, seven miles south of Ithaca, NY—built in 1813. 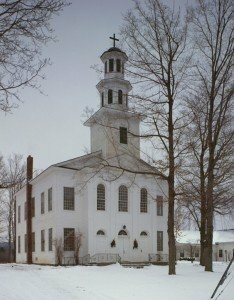 My dad, Pastor Jimmy Miller, had spearheaded a drive to raise funds to refurbish the historic building, restoring it to its 19th-century glory. Part of the project was the reopening of the original choir loft at the rear of the church. It had been closed decades earlier to be used for Sunday school classes. Several men had rigged a chain and pulley system to hoist the organ from the floor to the loft. I remember how amazing it was to see the massive instrument floating in the air! 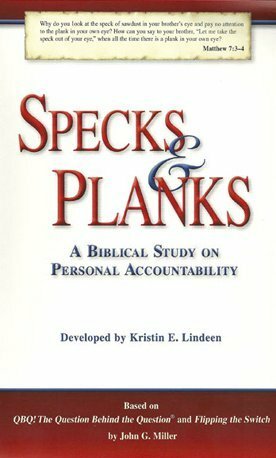 Personal Accountability Makes Training Work! In April 1995 I was at a coffee shop in Minneapolis with Ray Barton, then president of Great Clips, now Chairman of the Board. 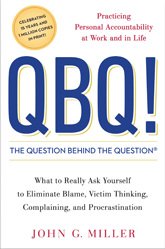 I told him I planned to base my speaking career on this tool I’d created called “QBQ! The Question Behind the Question.” His response? Ray spoke wisdom. Eighteen years later, it’s all we do here at QBQ, Inc. Why? 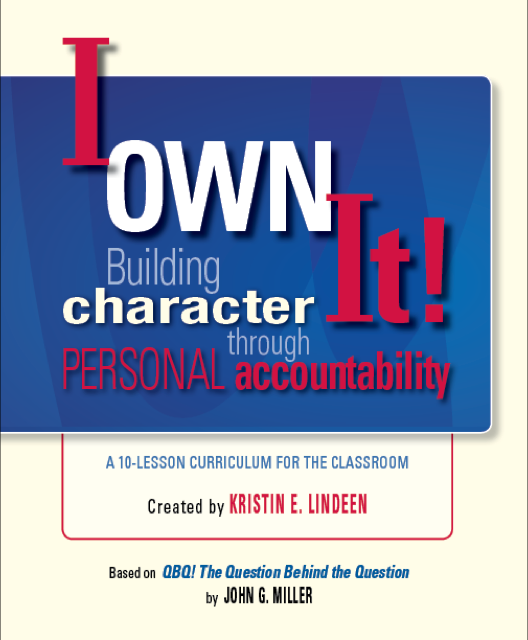 Because PERSONAL ACCOUNTABILITY is foundational—and solid foundations are always needed. 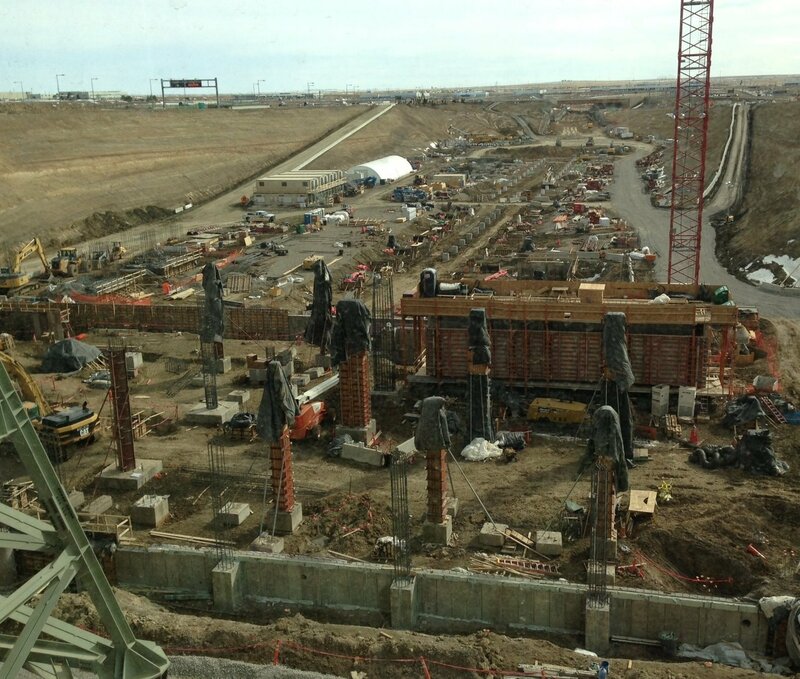 Have you been to Denver International recently? If you have, maybe you noticed an ongoing construction project. 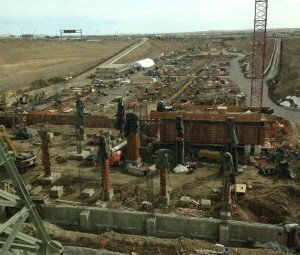 The “light rail” is coming some 20 miles out from Denver and they’re building an airport hotel. The model on the airport terminal floor shows the architect’s vision of an absolutely huge structure. Someday, people will walk through the rail station and sleep in the hotel and not even think about what lies beneath. Not very exciting, is it? Nope. But, 110% necessary. No hotel and light rail terminal combo could stand up without a foundation—at least not for long. Most buildings can’t. Just like people and organizations. Without the proper foundation, we fail and entities fall. Former Butler U. basketball coach, Brad Stevens (now head coach of the Boston Celtics), “gets” teamwork. 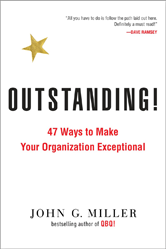 Do people in your organization? There are events that cause us to do some serious reflecting, aren’t there? A gentleman the Millers knew passed away Saturday. I can’t say he was my “friend,” since I’d only shaken his hand a few times. I do recall him standing in our rec room in May 2008 shooting pool at my 50th birthday party. I really only knew him because my wife, Karen, and his wife are friends—and have the same circle of friends. As often is the case, women have circles that are bigger and wider than their men, so it was through these relationships that Karen and others supported this man and his family during their struggle. 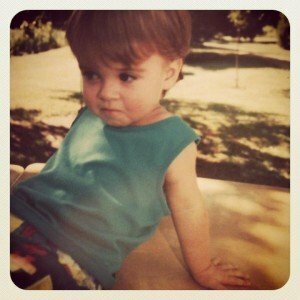 He was going to be wrestler—just like Dad. It was 1992 when I called—yes, called—the Resilite mat company to order our own Miller family wrestling mat. I didn’t choose my Cornell colors of red and white, but I did get a big “M” stamped on it. When it came, all 12’x12’ of it, Karen and I dragged it down to our Plymouth, MN basement—and the grappling began! Michael, our 4-year-old, would tear into me with all his might while Tara, age 7, would referee. I even gave her a whistle to blow. Mike was going to be great! Oh, he’s great—but he never wrestled. Well, at age 10 he did go to one formal session after we moved to Denver, but later he complained that the “other boys were sweaty.” He never walked on a mat again. 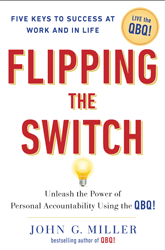 When it comes to handling organizational change, there’s been little change. Practicing What I Preach: The Ultimate QBQ! I missed my flight. There is nothing more frustrating than sprinting through an airport, and though truly no fault of your own, coming smack up against a closed door at your gate. 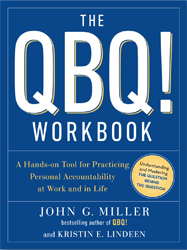 It has always been ironic to me that we conduct in live, interactive “Personal Accountability and the QBQ!” sessions all around the country, and then head to airports. With airlines. And delays. Hot beds of frustration, anger, and where the worst in people can come out. Sadly, today was one of those days for me. It all started last night around 11pm when my airline cancelled my flight home from Louisville to my home in Madison*, WI. After almost 90 minutes on the phone, (83 of those minutes spent listening to advertisements and irritating music), I had a new flight on a different airline at an earlier time. I figured it was a blessing in disguise, getting me home to my children and husband two hours earlier than planned. I went to bed past midnight tired, but glad to have that settled.